Are these critters cute, or what? Similarly, the Elf Island interview I mentioned here. is forthcoming (so excited to hear they successfully kicked off on Tuesday, November 4th!) but now that I have an ‘Elf Island boat pass’ into their beta-testing virtual world, I’m holding off a tad so I can cruise around inside the world myself for a firsthand peek! Plus, with the elections, then “All Things Girl” week, the timing is pushed back a jiff. 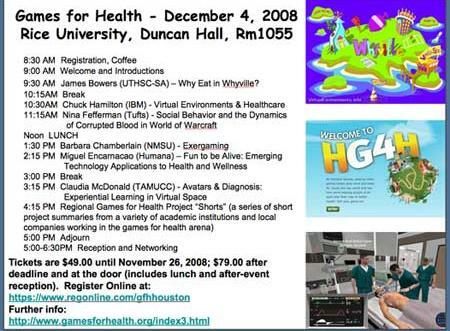 Melanie Mowry also wrote a fabulous multipart series on ‘how to measure’ health e-games outcomes which I’ll run in full when I get back to the Health 2.0 theme. But for now I’ll focus on the Humana Games post, since the whole concept of an insurance company entering the gaming arena for preventive purposes intrigues, and actually makes a lot of sense to me…both from a profitability and corporate social responsibility standpoint. It’s one of the reasons I’ve been looking at the potential of ‘benign underwriters’ to keep this blog going, such as maybe life insurance companies or people who have an interest in kids’ health and well-being long term? I don’t know, we’ll see…I can’t live on air forever. Innovation for education…corporate social responsibility and profiting from healthy outcomes for all? —I can get behind that! Melanie has given me permission to ‘lift’ relevant posts from the Playnormous “Monster’s Blog” ongoing, to give people a feel for the various types of tactics, outcomes and measures and creativity being lobbed into ‘casual games’ in the gaming for health segment. Here’s her recent post about positive new ways companies are aligning for childrens health.Meanwhile, congratulations, Playnormous people one and all…Seems you’re rolling out faster than we can cover these things! I hope they’ll be coming to the Network for a Healthy California/Champions for Change event in March, as our state could sure use some new, collaborative and participatory wellness thinking. It makes so much more sense for hospitals and youth venues to team up with turnkey programs that work rather than invent them from scratch. Teamwork, people, teamwork! Collective knowledge! A new collaboration between Humana and iTech Fitness is intended to inspire video-game players to get off the sofa and try their hand at the latest generation of active games, known as exergames. Humana is working with iTech in an effort to get more people more active – using exergame technology to promote health and wellness. Humana Games for Health, part of Humana Inc., and iTech Fitness will jointly promote iTech’s new XRKade iZone, a fully integrated and mobile exergaming system that can be purchased and easily installed in about 300 square feet of space. The XRKade iZone incorporates four LCDs, all gaming electronics, gaming consoles and up to eight items such as bikes, boards and dance pads into one convenient package. The system can be upgraded at any time with new gaming technologies. Humana and iTech will present the iZone as a solution for organizations that want to promote exergaming, but have limited space and technical know-how, including fitness centers, schools, senior centers, corporate wellness programs and hotels. The iZone, which plugs into a single 110-volt outlet, can be easily stored or moved from site to site for special events. “We developed the XRKade iZone to offer a fun and simple solution for non-traditional markets wanting to offer the fun of active gaming with limited space and easy set-up,” said Mike Hansen, iTech president and CEO. “We are excited to collaborate with Humana to bring active gaming to new markets.” iTech is unveiling the XRKade iZone this week at Club Industry ‘08, a trade show and conference for health and fitness professionals. The iZone is featured at Booth 160 in the McCormick Place convention center in Chicago. Active gaming incorporates physical activity into the video game experience. Players power a fighter jet by pedaling, dance alone or in a group, do tricks on a skateboard or snowboard, or take an exercise bike for a leisurely spin through beautiful scenery, or a thrilling stage of the Tour de France – just a couple of examples. Back soon for Shaping Youth’s take on the Health 2.0 conference outcomes, since Paul Puopolo, director of Humana Games for Health was also on the panel I attended…They’ve got a LOT going on! I’d like to also address thoughts and questions on outcomes with casual gaming, exergaming, virtual world fitness, gaming gyms, and the plain ol’ concept of ‘get ’em outside!! 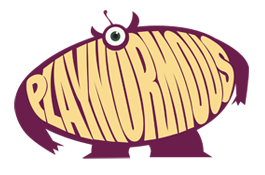 Meanwhile, Melanie Mowry, lead writer on the Playnormous Monster’s Blog shares her personal favorites on health and science with new partner Kids.Gov. Congrats on a great blog and thanks for the wonderful work that you are doing for the youth of the world. You mention that “Shaping Youth is about leveraging alignment. Responsibility. Accountability. Ethics.” There are some great insights in this combination of words and principles. I was particularly taken by this blog about Eileen Clegg and how she uses visual insight to get her point across. Dr. Kathy Cramer of The Cramer Institute and I have written a few books that take the power of positive thinking to new dimensions through Asset-Based Thinking. (www.assetbasedthinking.com) The books relay heavily on visual insights expressed through photography to communicate and motivate. Our third book, coming out in April, Change The Way You See Everything, Teen Edition was created to help teens change the way they view themselves and the world through Asset-Based Thinking and takes the power of visuals to a whole new level. We also came across a great project that your readers would find interesting. It’s a program and website called Read Kiddo Read (www.readkiddoread.com) created by the best selling author, James Patterson. Jim’s passion is to instill the positive passion for reading in kids at an early age by encouraging parents, grandparents, teachers and kids to make reading a huge and healthy part of their lives. Positively influencing the next generations is the key to our future. You have a really good blog. Thanks for taking the time to write these posts. I know first hand how tough it can be to come up with posts. Thanks again, Jack B. .-= Game Release´s last blog ..Game Release Shatter PS3 Review =-.